In 1931, the late Maurice Labovitz’s downtown Duluth retail clothing store needed nine months before it turned its first monthly profit of $4.12. 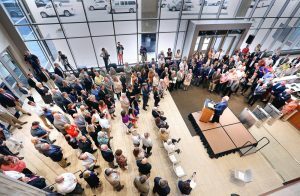 Fast-forward 85 years to Wednesday, when his son and onetime heir atop the Maurices women’s apparel chain, Joel Labovitz, celebrated along with Duluth’s finest dressed men and women the opening of the company’s new building on the 400 block of West Superior Street. 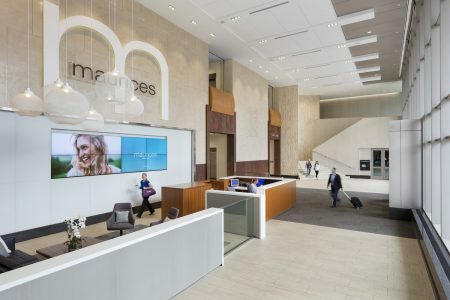 The official unveiling of the 11-story headquarters came roughly eight weeks after Maurices’ employees starting using the new base of corporate operations. Already, the company has hosted a board meeting for Ascena Retail Group — the parent company that Joel Labovitz sold the family business to in 1978. “We couldn’t have done it without all of you and your support,” Goldfarb said to the well-wishers who filled a pristine lobby. Now an international company with 980 stores, Goldfarb stuck to the company’s Duluth and Minnesota roots when he told the crowd the company spends $38 million annually on payroll to its employees across 49 Minnesota stores. Those stores garnered $62 million of the company’s more than $1 billion in total sales during its most recent fiscal year. “This building reflects the inspiring, collaborative and innovative culture we are so proud of,” Goldfarb said. Mayor Emily Larson met the crowd with a joke about how the building stole her view from City Hall of downtown and Lake Superior. 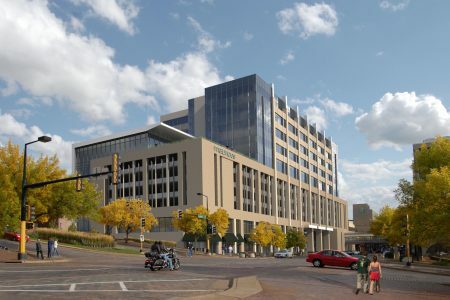 But, in reality, she said, she loves her new view of the building, where she sees a corporate citizen with community pride. 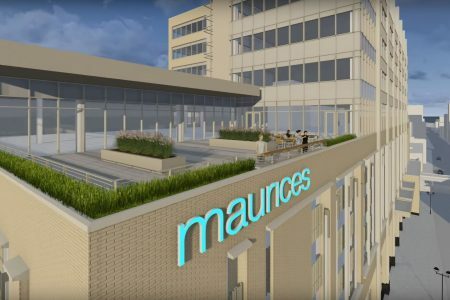 “There’s not a race, event or dinner I attend without seeing Maurices employees,” Larson said. With 450 employees working in the building and room for up to 600, the new “digs” figure to carry the company well into its next 85 years. It was music to Joel Labovitz’s ears.